Recently on my way home from work, I stopped at a grocery store for a few dinner items. I knew what I needed so I was able to quickly navigated to the checkout line where I waited. Let’s recount the experience… Strategy. Execution. Bottleneck. For reasons unknown to me, the wait made me think about the Gartner IAM 2020 Predication “Identity Intelligence Finally Gets a Brain”. In an “identity intelligence” model, every business user, every item, and every option gets mapped to each request to determine a risk. At the grocery store, shoppers make choices based on seasonal availability, dietary restrictions and budgets. When something is out of season, the produce may be unavailable and the cost likely higher. In this case, the risk factors of availability and cost influence a consumer’s behavior. Similarly, business users must identify what they need, determine where to get it, and wait for fulfillment. Frequently, they must make alternative choices based on cost, availability and a myriad of factors. Often, they wait too long for fulfillment. Sometimes, even when it’s no longer relevant. For many enterprises, the experience, like my trip to the store, becomes more laborious and time consuming than necessary. The identity intelligence model assumes a service catalog and request management shopping experience with one difference. In essence, the store largely shops for the business user. With a next generation IT store, INStore Intelligence™ removes unnecessary items from consideration. It personalizes the business user’s shopping experience based on their attributes, the request, and risks you define. Identity intelligence eliminates human error, overspending, inefficiency, and IT security lapses. 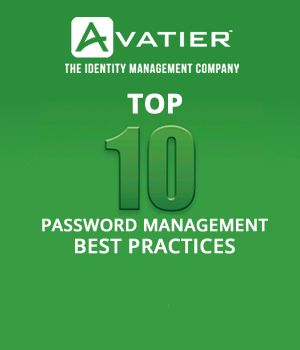 Avatier concluded the 2013 Summit by taking a 180° turn from Gartner’s IAM approach. While the conference centered on solutions representing the newly formed Identity Governance and Administration (IGA) Magic Quadrant, Gartner promoted their vision for business enablement. 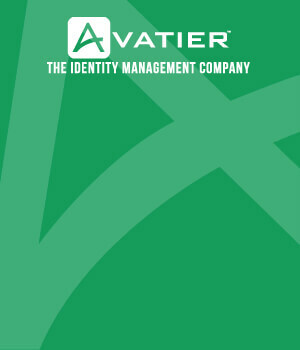 Avatier believes for the two to coexist a radically different approach is needed. In Avatier’s view, IT service catalog solutions should be the conference focus with IGA integration and a unified risk-service bus. Only by using this approach can an enterprise truly experience Gartner’s vision of total business enablement. Most important, unified IGA solutions exist today. You do not have to wait. You can put 2020 technology and innovation into action now. ← Gartner IAM 2020 Predictions: Attributes Are Now "How We Role"